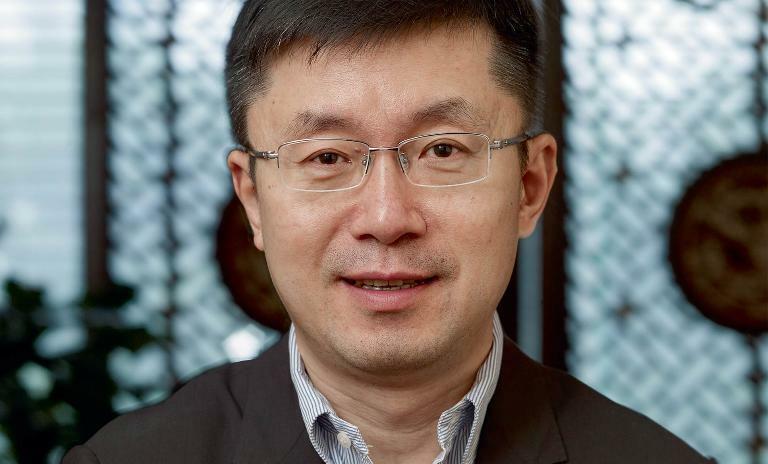 iQIYI, China's largest online video streaming website, has begun its transformation into a full-blown media empire under the leadership of Founder and CEO Gong Yu. Gong, 48, now divides his time between Hollywood, Tokyo and Beijing, hiring movie stars or striking deals with big studio bosses. This exclusive interview takes us behind the scenes of one of China's hottest sectors for both foreign and domestic players. Entertainment czar: Gong Yu launched iQIYI in April 2010. It now receives 600 million unique visitors per month. Transformers 3: In 2011, iQIYI purchased the exclusive screening rights for Transformers 3 in Mainland China. The deal cost the company ¥10 million, a record high price paid by a Chinese online video website for an imported movie. Descendants of the sun: A hit in South Korea when it premiered in April 2016. iQIYI provides it to the Chinese market as part of its premium content for paid subscribers. The mystic nine: is an iQIYI original production that launched in June 2016. Its 48 episodes focus on the exploits of nine grave-robbing families in the 1940s. Think Act: How to make people pay for online content is something that businesses around the world are trying to figure out. Your online video website iQIYI recently doubled its number of paid subscribers from 10 to 20 million in just six months. How did you do that? Gong Yu: In the beginning our main advantage was having Baidu (China's predominant search engine) as an investor. When you search for a video on Baidu, we appear as the top result and then 70% of users will click on that. But another essential factor is our quality. Our videos are clear. The playback is not choppy. They are high definition. And, our website is user-friendly. How long did it take you to reach 20 million paid subscribers? We hit 20 million in June this year, and we went online in April 2010. It took us four-and-a-half years to reach the first five million. Now we can get 10 million new paid subscribers in half a year. So we are growing faster and faster. "Half of the Chinese box office comes from Hollywood. The other half is Chinese." Is it fair to say that Chinese consumers are finally ready to pay for online content? Yes, for two main reasons. First of all, two years ago the Chinese police arrested the management team behind a pirate website called Qvod. This reduced one of the major obstacles for paid content in China, which was the streaming of pirated content. The second obstacle was payment, which was also overcome during the last two years. Paying online with your credit card used to be very inconvenient in China because, for security reasons, each transaction had to be redirected to the bank's website. But now mobile payments have really picked up. We have WeChat payments (where you pay from your smartphone using the WeChat app, the Chinese equivalent of WhatsApp), Alipay (another Chinese online and mobile payment service provider) and all other sorts. This is why growth is so fast now. You are also using a lot of free content to attract paying subscribers. That is how iQIYI is able to attract more than 600 million unique visitors per month. In June 2016 we had 366 million PC users and 310 million mobile users. These are huge figures. We are No. 1 in China's video industry. Our mobile app is ranked No. 3 among all apps in China – WeChat is No. 1, QQ's app is No. 2 and iQIYI is No. 3. So we also have the biggest video streaming app in China. How important is it to be No. 1? Very important. That is key in China's internet economy – you need to reach as large a scale as possible. Even better, become No. 1. After you reach that goal, things start getting easier: easier to raise capital, easier to acquire others and easier to gain market share. Your competitors in China's online video streaming industry also sometimes claim to be leading. No, Tencent is No. 2, Youku is No. 3. That is based on third-party statistics in the market. The streaming giant has expanded to 190 countries and streams 125 million hours of content per day - 86 million subscribers. The service now offers a monthly subscription option and streaming video to four markets: the US, the UK, Japan and Germany - 63 million subscribers. China's leading streaming provider expanded to include Taiwan in March 2016 and added 10 million subscribers within six months - 20 million subscribers. Do you also see yourself as a competitor of YouTube and Netflix? We don't have direct competition with them now, because they don't have a market here in China. And our market abroad only caters to Chinese users. Will you develop overseas markets for iQIYI in the future? I have not decided that yet, but probably we won't do that within the next two years. I want to concentrate our manpower, resources and funds on doing well in the Chinese market first. It is very difficult to develop other markets. Language is the first barrier, and then there is the cultural difference. Please tell us about your personal motivation to found iQIYI. In 1999, a schoolmate of mine was working in Silicon Valley. He said, "The internet is very hot in the US. Let's start an internet business!" First we built a social networking website, but the market for that was too small. We spent several months on it, but didn't go far. Then we switched to a portal, similar to Yahoo. But we discovered that we had gotten there too late. Sina, Sohu and NetEase had started half a year earlier, so they could raise more money. Then we pivoted from a comprehensive portal to a vertical website. It took us two years to position ourselves as a successful real estate website called Focus.cn. We later sold that to Sohu, which I now think was a mistake. After we sold the company, it had no future: it just became a real estate segment on Sohu. What a pity. So I was hoping for another opportunity to create something bigger, more successful. And I realized that video had more room for development than "picture and text" online media. A very good opportunity came when private equity investors in the US who had invested in Hulu planned to found a video streaming website in China. Baidu came to me and asked if I was interested in an online video business. With that, iQIYI got a very fast start. Founded in 2010, iQIYI has risen to become China's leading video streaming website with 20 million paid subscribers. Early investment by Baidu – the country's predominant search engine – helped to secure the company's position through preferred search results. Other success factors have included high-quality videos, free access to popular content and original productions and exclusive streaming deals with Hollywood studios including 20th Century Fox and Paramount. iQIYI, as a streaming video site, is subject to different government policies regarding foreign media. Whereas traditional cinemas are limited to 34 per year, iQIYI will stream over 1,000 foreign movies and drama episodes per year. Apart from major investment from Baidu, you also got an investment of $300 million from the Chinese mobile phone maker Xiaomi. How important was that for your development? It is better to have more than just one investor. Also, since Xiaomi invested in us in 2014, they helped us a lot with increasing our market share in mobile apps. On their devices – and they have a big market share in China – we are now ranked No. 1.
Who is verifying all of these user figures you are giving us? Can we trust them? A company called iResearch has verified the figures. They are trustworthy. Abroad, the Chinese audience is known for consuming a lot of pirated movies and other pirated content. But you have signed licensing agreements with Paramount and other industry heavyweights, allowing you to stream their movies. Was it difficult to win their trust in the beginning? Regarding our cooperation with Hollywood, piracy was not the biggest obstacle. Of course, that is something they are very concerned about. But what was more important was that – when we started with Hollywood content six years ago – the Chinese market was still very small. Very junior people were in charge, in different departments. For example, Fox had a team in charge of home entertainment, another one for "pay per view," and yet another one for subscriptions. They didn't communicate internally about their business in China and even competed with each other. We were negotiating for three years, without any results, until we finally met the chairman of Fox in Shanghai and were able to solve the problem. That was the slowest company. 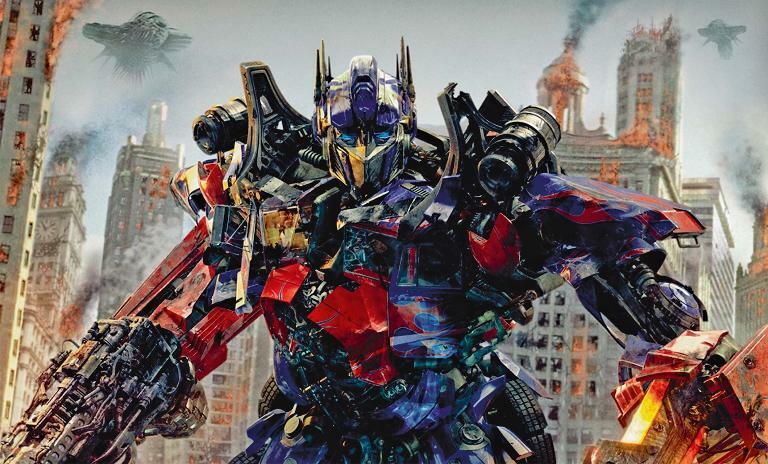 Others were faster, Paramount for example – we bought the exclusive streaming rights for Transformers 3 for ¥10 million. That set a price record in China's online video websites. But actually the benefit was mainly in terms of reputation, not in terms of revenue. Hollywood studios have clearly stated that it is time to pay attention to China. Not a week passes without one of their bosses or movie stars visiting Beijing or Shanghai and there is a lot of talk about the "Chinese box office". How big is your own influence? As far as I know, most film companies' new media revenue is now larger than their box office revenues. That is because the government set a quota for how many Hollywood movies can be screened in China at traditional cinemas. We also have a quota, but it is larger. The quota for traditional cinemas is 34 foreign movies per year, but we can stream over 1,000 foreign movies and drama episodes this year. When will you buy one of the major film studios in the US? You certainly have the cash to do so. We are talking about it. But it will not necessarily be a studio in the US. Our users are still mainly in China. If we acquire or invest in a company, it has to be a company that produces content that Chinese users like. We are looking at some foreign companies with good IP that we could bring to China. But we haven't found a suitable one yet. "Last year we had a burn rate of ¥2.3 billion. This year will be better." So Hollywood movies are not the most important for you because they are not the most popular with your audience? I would not draw this conclusion. It is more complicated than that. Half of the Chinese box office comes from Hollywood and the other half is Chinese. This is due to the quota. Most online paying users are from second-tier, third-tier or fourth-tier cities. The users from first-tier cities like Beijing or Shanghai have a louder voice, more influence on the movie reviews. But more users come from small cities. And users from small cities have lesser familiarity with American culture and Hollywood movies. There is also a delay of four to six months until we can stream a new foreign movie. And then foreign movies not only have a quota, but they also have to be censored by the government first. You are also your own studio boss now. You registered a film production company, iQIYI Motion Pictures. We produce four types of content: drama, animation, shows and movies. iQIYI Motion Pictures is one of them, the unit that produces movies for the cinema. But we have several different production teams, two for online drama, seven for variety shows, one for cinema movies and one for online movies. A lot of the most popular content on your website seems to be made in China or South Korea. Most of our content is free for our users, like TV and online drama, animation and variety shows. For them, our revenue comes from advertisement. Movies are mostly premium content and come with a subscription fee. With regard to free content, iQIYI offers the most in the whole industry. This year's Korean drama with the most viewers is Descendants of the Sun. Another very popular drama is The Mystic Nine, which we produced ourselves. So you buy a lot of content, but you also produce your own. What is the ratio here? Currently, 15% of our traffic goes to content that we produced ourselves. In the future I hope to have about 30% of self-produced content. That should be stable enough and we don't necessarily want to produce the majority of our content. Sometimes the content you produce yourself is not necessarily good, but the purchased one is both good and cheap. Still, the most important element for growing our user base is not Hollywood movies, but Chinese movies and self-produced online dramas. That means your production units are still growing. Hollywood better watch out! The reason for that is that we never really "buy" content. We only purchase the copyright for a period of one to three years. This is not buying but more like renting. We improve brand awareness and the value of an IP, but we need to return it after the copyright expires. And when it is adapted to the next season or game, we need to pay again. This is a terrible business model for us. So we started producing our own content two years ago. The key to producing good content is to attract talent from TV, traditional movies, drama and variety show studios. We have already hired more than 500 people from such traditional production companies. So you are transforming yourself from a online video streaming portal into a full-fledged entertainment company, correct? Yes. 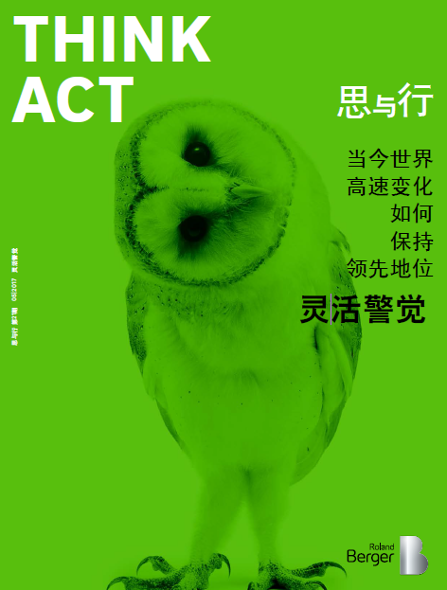 We call iQIYI an "online video website" now, but in the future we will be an entertainment company, including media, film and drama productions and other cultural services like online movie ticket sales, mobile live shows, virtual reality (VR) services, online gaming and entertainment-related e-commerce. For example, if you see a movie star wearing a certain pair of earrings, necklace or purse and would like to buy those items, there will be a little bulb twinkling by the side of the video. Then you can click on it and be redirected to our e-commerce website. We have started to implement that already. You can buy the same purse as your favorite actress. Very interesting. In February 2016, China announced its new Administrative Regulations for Online Publishing Services. While media restrictions in the country are nothing new, online publishers are now required to locate their servers in China – a move that tightens already stringent regulations on the consumption of foreign media in the Chinese market. Although partnering with a domestic company remains an option, in October 2016 US streaming giant Netflix decided to put its plans to enter the Chinese market on hold. Let's talk about money. You are the industry leader in user and subscriber numbers. Are you also the leader in burning money? No. We burned a lot of money so far, but I will not tell you the total figure. We are not the company that is burning the most money in our industry. Last year we had a burn rate of ¥2.3 billion. This year will be better. The most conservative estimate is within three years from now. Last year our revenue was ¥5.3 billion. It is expected to reach ¥10 billion this year. What about your revenue mix? Where does your money come from? Last year around 75% of our revenue came from advertisements, which is now 55% this year. Then 30% comes from content fees and the rest from other things. Gaming and mobile live shows. Do you know mobile live shows? It is a big trend right now. Pretty girls chat online, for example filming themselves in their own homes, and the viewers can send them gift items online. Where do you see this moving in the future? Will paid content become more important? Yes, it will become more and more important. The ideal revenue mix would be one-third from advertisements, one-third from fees and one-third from other things like gaming and mobile live. That would be even and stable. Right. Why are we currently burning money? The big mainstream companies in our industry are all burning money. The first reason is that we used to rely too much on advertisements. When we invested ¥100 million to purchase or produce content, we could only earn that much back through advertisement fees. In the future, the business will look like this: if I invest ¥100 million, first I earn the advertisement fee, then I need to add very little cost to be able to charge content fees from the users or earn revenue from games or from e-commerce. The marginal cost for each new business is low, but it will bring more revenue – and that means a higher gross margin.